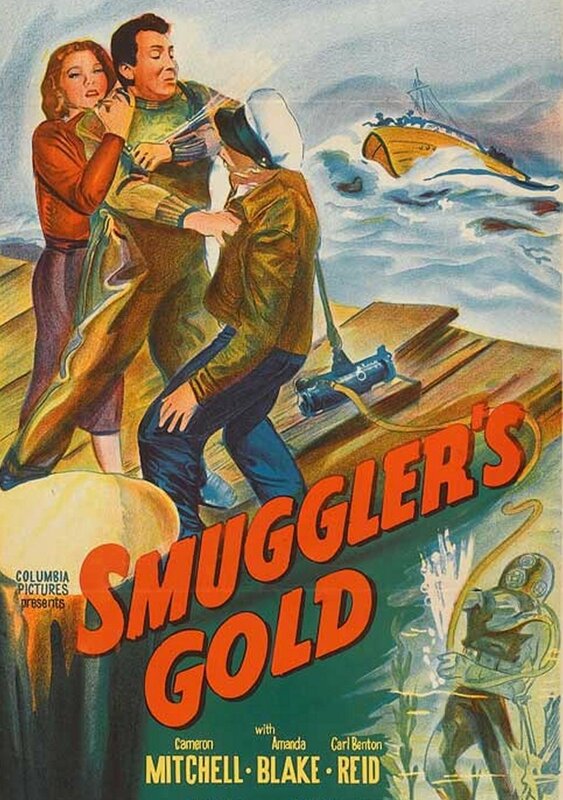 From imdb: "Pop" Hodges runs an equipment store and a fishing boat as blinds for a gold-smuggling operation, unknown to his niece, Susan Clarke who is engaged to deep-sea diver Mike Sloan. Mike knocks out a member of the fishing-boat crew who is trying to steal gold from Hodges' storeroom. Hodges kills the man and convinces Mike he did it in the fight. Mike replaces the dead man on Hodges' boat and postpones his marriage to Susan. When Mike learns of the smuggling racket, Hodges holds the murder over his head, and forces him to dive for the smuggled gold.